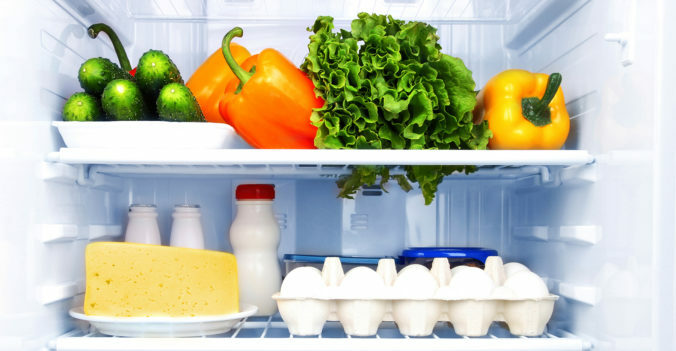 These guidelines give you an idea how long you can safely store different types of food in the refrigerator—and when something is past its prime and ready for the trash can. Storage times apply to red meat, poultry and fish. Storage times are for raw, unsliced produce. Tomatoes: Trick question! They should be stored at room temperature for best flavor. Storage times are for ripe, unsliced fruit. Allow leftovers to cool before refrigerating them so they don’t transfer heat to the inside of the refrigerator. If storing a lot of leftovers, divide them into smaller containers, to allow the food to cool more quickly. Prevent odors from circulating in the refrigerator by wrapping your leftovers well. Don’t over-stock the refrigerator. Allow room for air to circulate through the refrigerator cabinet and don’t block air vents. Mark your leftovers with the date you placed them in the refrigerator and throw them out after 10 to 14 days. Follow a first-in/first-out rule, placing newer items behind older ones.